Founded in 2001 as one of the world’s first mobile app development companies, OpenPath has a tradition of innovation. We are a passionate team of veteran developers, designers, and testers who partner with you to deliver outstanding mobile software and solutions. With development, design, QA, and management under one roof in Annapolis, Maryland, we excel at communication and efficiency. OpenPath helps translate your vision into execution through our unique understanding of technology, business, and mobile. We brainstorm with you to bring new ideas to the table and craft strategies that meet your schedule, budget, and business objectives. Ideation, white boarding, storyboarding, prototyping, and detailed specifications are all important steps in the process. We apply well-honed listening skills, clear communication, enthusiasm, humor, passion, and years of experience to each of these steps. The result? 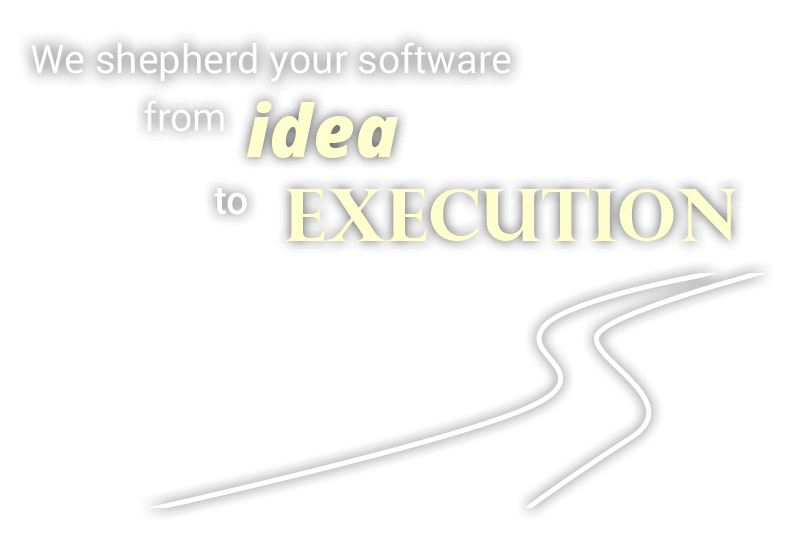 A clear and open path to bringing you well planned and well executed software. We have built and tested many hundreds of applications across every major genre: games, video, news, weather, health, sports, and more. Our CEO, CTO, and engineers hold multiple patents in wireless and we even help our clients write their own patents. We love mobile and we love to share our ideas and feedback. Our entire office space is designed to facilitate communication and the exchange of ideas. We invite you to visit and ideate on your next great thing. Your project is unique. We understand that some projects can be built from a diagram on the back of a napkin and some require rigorous analysis and design. Our team is comprised of careful listeners, rigorous thinkers, precise communicators, and experienced developers who collaborate with you to “measure twice and cut once”. Your project should be breathtaking. Our artists work closely with you and our developers to develop beautiful experiences and interfaces that meet your budget and technical objectives. With our artists, designers, and testers working under one roof, we can readily leverage the unique skills and perspectives of the whole team to create a holistic design. Your project should use the right tool for the job. OpenPath's entirely U.S.-based development team is well versed in multiple wireless technologies so that we can apply the right approach for your project. 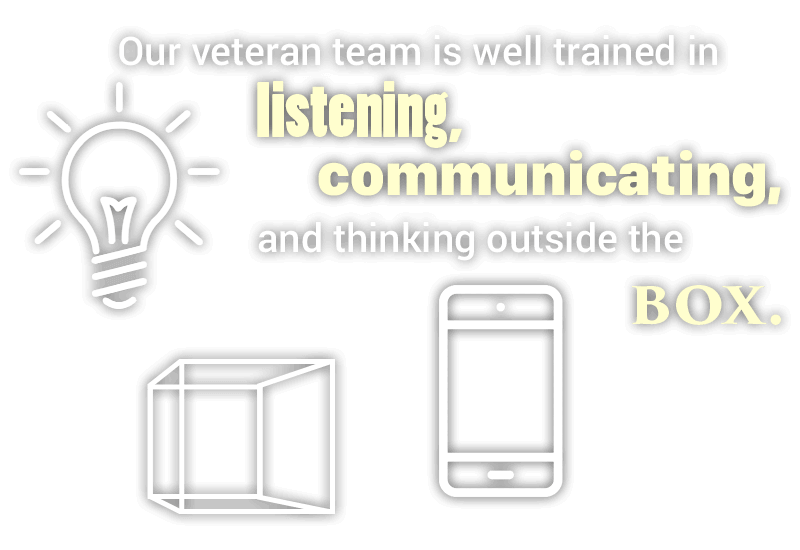 Veterans in native iOS and Android, HTML5, Hybrid, Android NDK, ffmpeg, OpenGL, and middleware tools, we carefully select the toolsets to meet your business objectives. We excel at innovation. Starting as one of the world’s first mobile app developers for SMS, WAP, J2ME, and BREW, we have consistently embraced new technologies to become experts in iOS, Android, HTML5, Tizen, Smartwatches, Smart TVs, streaming video, and VR. We not only design and write original software, we are also experts in code maintenance and porting of existing apps. We have been writing video-enabled mobile applications since 2004 and are one of the most experienced developers in this ever growing market. Experts in Ericsson Media Room and Media Reach technologies, we have written TVE and VOD apps for cable companies, media providers, movie studios, weather stations, news aggregators, health organizations, and sports networks. Our video solutions target phones, tablets, Android TV, Set Top Boxes, Roku, DVD Players, Smart TVs, and more. In addition to custom video app development, OpenPath also offers an innovative out-of-the-box consumer video engagement solution that presents YouTube, Instagram, Twitter, and other social media content in a brandable Android or iOS app. Please download our brochure to learn more. We build amazing immersive VR and AR apps using Unity, Vuforia, ARKit, ARCore and other technologies. We design and build Intelligent Assistant interfaces for various platforms, including Alexa, Alexa Show, Google Home / API.ai, IFTT and Cisco Spark Chatbots. We are also experts with the Alexa Voice Service (AVS) for custom Alexa hardware integrations. We support multiple industries, including IoT, Financials, and Automotive. Our IOT expertise includes Z-Wave and Z/IP Gateway, bridging proprietary IoT with open standards gateways, and building companion apps for IoT services. OpenPath was one of the first companies in the world to provide platform conversion services. Whether converting from J2ME to BREW, iOS to Android, or Android to Smart TVs, we know how to preserve the essence of the original application while maximizing the capabilities of the target platform. Proper maintenance is critical to the long-term success of your software. But it is not for everyone. Many development teams want to move on to new projects rather than maintaining and updating “legacy” projects. And yet often those legacy apps are critical to business needs and need careful attention and continued support. We can support such projects. We’re very good at code maintenance and we show your project the same love and attention that you had when building it. AT&T has kindly provided a write-up of OpenPath's code development and analysis capabilities using their excellent ARO tool. Your project should have a responsive, experienced team who cares as much as you about its success. The team should communicate well and have the tools and know-how to turn an idea into product. It takes years to build a solid development and QA team who can do this. 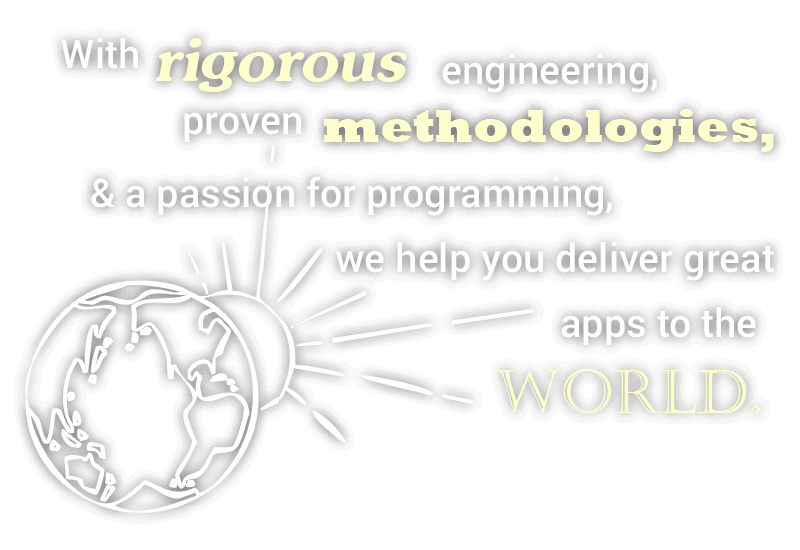 Our developers and testers have earned their 10,000 hours working together in the trenches of mobile development. You can leverage our team to help you bring better products to market faster. Your software should work well on many devices and under the most adverse conditions. At OpenPath, we believe Quality Assurance is every bit as important in the process as design and development. We are privileged to have one of the most experienced QA teams in the industry. With each tester averaging over four years at OpenPath and testing thousands of builds, we understand what it means to deliver quality software. Every project is assigned a veteran QA lead who crafts a testing strategy to meet your business, technical, and scheduling requirements. Our comprehensive QA services include writing test plans, automation, adversarial testing, network diagnostics, security audits, store submissions, store monitoring, and proactive QA on new devices and operating systems. Please download a brochure to learn more about our experience. The mobile world is exciting because it changes and grows so quickly. Every major device platform has multiple OS versions and uses a variety of chipsets, displays, and form factors. Software must be tested across these various configurations to ensure consumers have a positive experience. Since 2001, OpenPath has acquired over 1,500 devices to perform our QA services. We understand that quality deliveries require a comprehensive testing strategy that includes multiple devices and form factors. Our team works with you to define an optimal QA approach balancing coverage and cost. Our veteran QA team is supported by advanced tools. We track all projects and issues in a custom tailored workflow system which is accessible to our clients. We use automated tools to verify client/server APIs and to perform overnight regression. We use key mashing tools to simulate extended adversarial application usage. We use a sophisticated monitoring tool to measure the actual battery amperage drain from your application. We use specialized proxy servers to measure and monitor network usage. We work with AT&T’s ARO tool to perform deep networking analysis. Our QA team is engaged from start to finish and beyond. We help prepare store submissions, we monitor market feedback, and we make proactive suggestions to keep consumers engaged. With mobile software, the path does not end when you submit a build to the market. The adventure just begins … and we're in step with you the whole way. OpenPath's roots began with SMS and the Wireless Application Protocol, which provided the first forms of interactive mobile data for phones. We created two software tools, DataBow and the SMS Testing Suite, which are still in use today and continue to have a variety of uses in many aspects of mobile application development. Leaders in both technology and the environment, OpenPath has long been an advocate of environmentally sustainable operations. We have installed solar panels on our roof and generate up to half of our power in the summer. We have a company Electric Vehicle which we use for Location Based Application testing. We are local community supporters of efforts to preserve our Chesapeake Bay, which is the world's largest estuary. Our OpenPath™ DataBow software is one of the world's first programmable IOT M2M message routing platforms. It is a Rapid Application Development Tool and Server for connecting disparate data sources and devices. Using a graphical authoring environment, non-programmers can quickly create sophisticated 2-way interactive M2M services. DataBow includes a simple programmable API and built-in support for accessing databases, SOAP, JMS, Telnet, XML, and HTTP content using SMPP, SNPP, SMTP, and WAP. Our OpenPath™ SMS Testing Suite helps developers to successfully test SMS applications by providing tools for testing SMPP, SMTP and HTTP messaging. A SMPP Handset simulator simulates the activities of a Short Message Service Center (SMSC) using the Short Message Peer to Peer (SMPP) protocol. The suite includes many SMPP and SMTP simulators, including a 'Bad SMSC' simulator that emulates common operational problems in a carrier's network. Leveraging our technical skills and environmental enthusiasm, we have created a unique Sustainability Portal that can automatically ingest power usage data, power generation from Solar, and even water usage. The result is a tool that can help organizations, particularly growers, monitor their resource utilization and ensure their operations are environmentally sustainable. Please download a brochure to learn more.